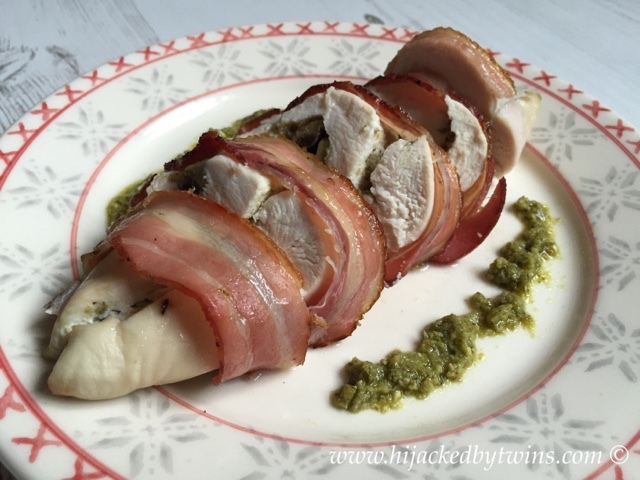 A couple of weeks I shared my Pesto, Mushroom and Pancetta Chicken that I made using ingredients from Aldi. After I made the pesto, mushroom and pancetta I had some ingredients left so I thought that I would share with you what I did with them. 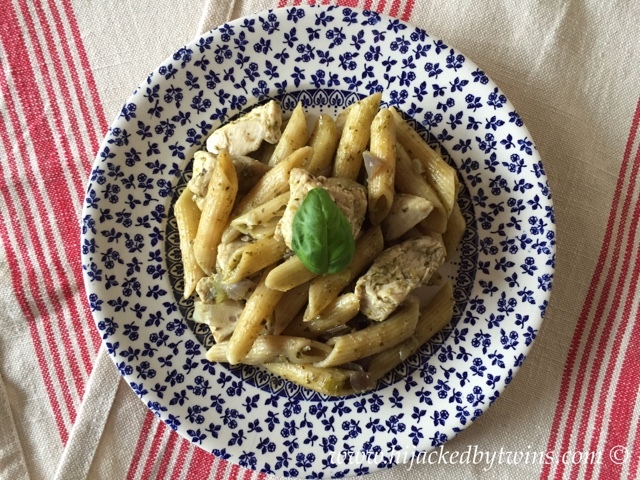 Pesto is perfect for pasta so what better way to use leftover pesto and chicken breasts! The chicken breasts from Aldi are fantastic value for money. I always by the large pack of chicken breasts that weigh 1kg and cost £5.59. This pack of chicken provides enough for two meals for my family. Unlike other cheap chicken breasts these do not shrink down during cooking, this is what makes them true value! This recipe make enough for a family of four, or in our case a family of five. 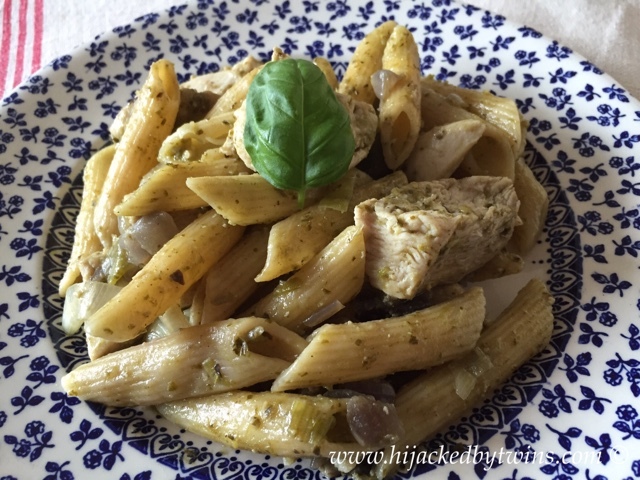 This meal is not only quick and easy to make but a great value meal and a great way to use up ingredients for another recipe. This dish was a huge success with all of the family and I loved being able to prepare a delicious meal in little time. 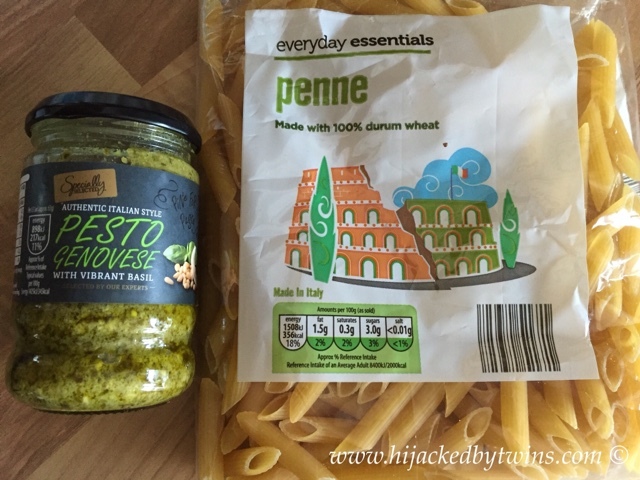 Aldi's everyday essentials pasta penne costs just 29p for a 500g bag. 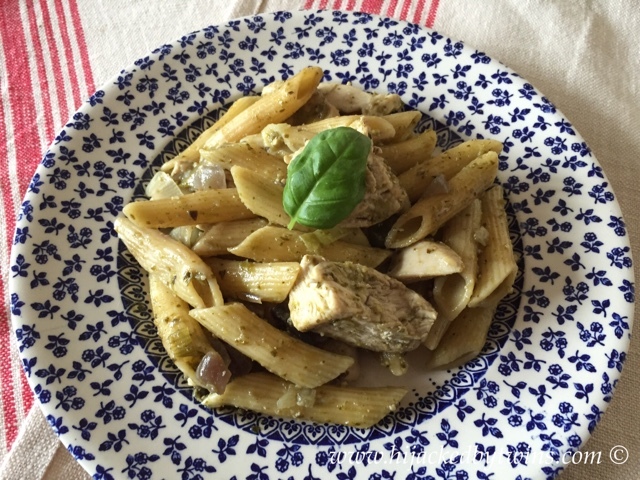 This recipe uses just 300g leaving you extra pasta for another days meal. Eric Lanlard's Afternoon Tea and Book Giveaway!